According to The Hollywood Reporter, Weezer’s latest album Everything Will be Alright in the End is slated to be released on September 30, 2014. It’s the band’s first offering in four years since 2010’s Death to False Metal. Weezer put out a teaser to the album back in March that indicated a return to the hard, fast, and simple sound of their near-perfect self-titled debut, also known as The Blue Album. It was a sign that Everything Will Be Alright in the End will feel more than a little Blue, since it has the very same producer, Ric Ocasek of The Cars, returning to the boards. 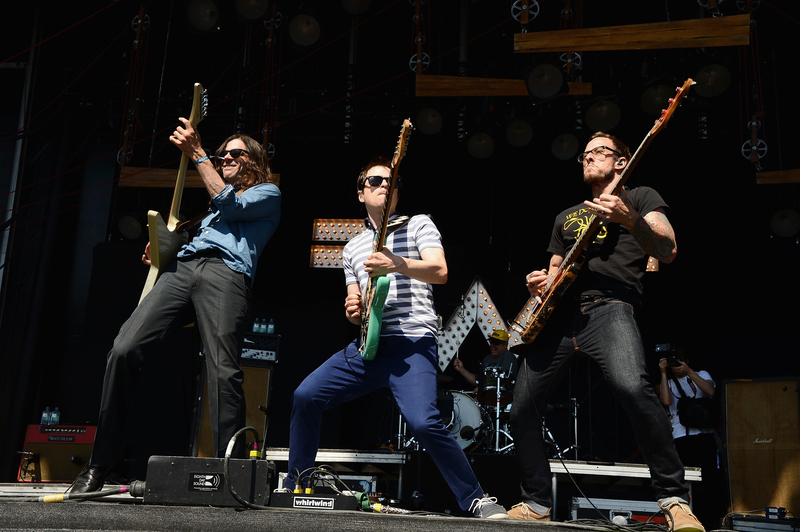 Weezer, it seems, isn’t so much looking to make a comeback, rather, they’re looking to come full circle. Even the title suggests that their post-Blue Album discography, which strayed further and further from their original sound as it grew, will be once again returning to the “garage” so to speak — everything WILL be alright in the end, fans. They’ve also timed their return to the Blue Weezer quite perfectly. Way back in 1994, when we were first introduced to that guy who looked just like Buddy Holly and all of his nerdy angst, the culture of the nerd wasn’t quite where it is today. When lead singer Rivers Cuomo sang about his Dungeon Master’s Guide, he was not living in the era of Game of Thrones or Big Bang Theory. But now, our pop culture landscape includes the likes of Doctor Who and Marvel Comics; they're not just geeked-out over, they’re veritable cash cows. In a way, Weezer is re-debuting in the culture they helped to forge more than 20 years ago. As much as I’m eager to have the sound of the Weezer I fell in love with back, I do hope the content still stretches. Since their first album, Weezer has spent time in the land of Top 40 pop and sad, sad melancholy. It’s high time they tear through adulthood with the blood, sweat, and tears that made The Blue Album so on-point. Like most of us, Weezer spent a lot of time trying to find themselves. Sometimes those journeys take you back to where you started — and that can be a very good thing.